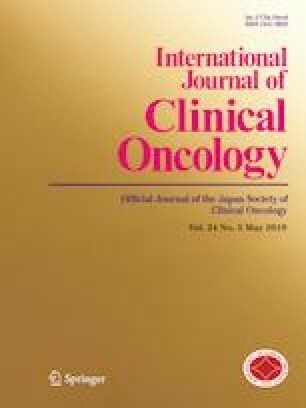 The purpose of this study was to evaluate the real world situation and clarify the problem in initial treatment for elderly patients with ovarian cancer in Japan. We used the ovarian cancer database, containing all patients diagnosed and treated with International Federation of Gynecology and Obstetrics Stage I–IV ovarian cancer at the National Cancer Center Hospital in Japan from June 2008 to April 2013. Patients were stratified into two groups based on age: an elderly group, aged 70 years or older, and a younger group, aged below 70 years. We retrospectively assessed the rate of receiving standard therapy, and the feasibility and safety of chemotherapy compared with younger patients. In total, 244 patients (elderly group, 36 patients; younger group, 208 patients) were analyzed. A significantly lower proportion of elderly patients than younger patients received standard therapy (15.7% vs. 32.5%, p = 0.026). Even for the elderly group, 95% patients underwent surgery in our institution. Conversely the rate of patients receiving nonstandard chemotherapy in the elderly group was significantly higher than in the younger group (30.5% vs. 9.6%, p = 0.01). This study clarified the type of treatment being performed in the field, and the proportion of elderly ovarian cancer patients receiving standard therapy compared with younger patients in Japan. In addition, the actual situation of elderly patients in Japan might be different from that in Western countries. We need to evaluate the appropriate treatment for elderly patients in Japan. We thank Colleen Elso, PhD, from Edanz Group (www.edanzediting.com/ac) for editing a draft of this manuscript. We would like to express our sincere thanks to all patients and investigators. The authors would like to thank Dr. Kan Yonemori, and Mr. Hiroyuki Terakado for supporting to make manuscript.